Random House Trade Paperbacks, 9780812978391, 320pp. At once a self-styled social scientist, a spy in the baffling adult world, and a budding, hormone-driven emotional explorer, Oliver Tate is stealthily nosing his way forward through the murky and uniquely perilous waters of adolescence. His objectives? Uncovering the secrets behind his parents’ teetering marriage, unraveling the mystery that is his alluring and equally quirky classmate Jordana Bevan, and understanding where he fits in among the mystifying beings in his orbit. Struggling to buoy his parents’ wedded bliss, deep-six his own virginity, and sound the depths of heartache, happiness, and the business of being human, what’s a lad to do? Poised precariously on the cusp of innocence and experience, Oliver Tate aims to damn the torpedoes and take the plunge. BONUS: This edition contains an excerpt from Joe Dunthorne's Wild Abandon. Joe Dunthorne was born and brought up in Swansea, South Wales. His poetry has been featured on Channel 4 and Radio 3; he has performed at festivals including Glastonbury, Hay-on-Wye, and Latitude. Now twenty-five, Dunthorne lives in London. 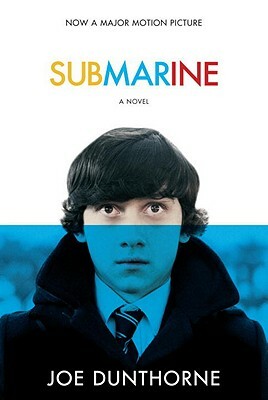 Submarine is his first novel.